I had almost 10 months to prepare for my foray into motherhood and prepare I did. I read it all, watched it all, and bought it all. And boy, did I think I knew it all. But I didn’t. I realized quite quickly that I didn’t know, well, just about anything. There were the good things that I didn’t know about. I didn’t know that my heart could feel so incredibly full and content. I didn’t know how rewarding being a mother could possibly be. I didn’t know that you could actually love someone else more than yourself. But then there were also the bad. The things that I didn’t know, that I was so unprepared for that they hit me in the stomach like a bag of bricks and left me utterly breathless. I didn’t know how hard it would be. I didn’t know how tiring it would be. I didn’t know how lonely it would be. What I expected from motherhood was based loosely on what I had seen other mothers portray. Either in books, movies, blogs or, mainly and primarily, on social media. I started my journey into motherhood with visions of size 4 jeans, organized nurseries, and perfect hair dancing like sugar plums in my head. I envisioned myself as one of the utterly (and unbelievably) perfect social media moms I followed. As I “liked” each one of their immaculately staged photos I saw myself joining their elite team of mommy perfection as soon as I delivered. What I didn’t know was that they were spotlighting all the best aspects of motherhood. None of them were posting a picture of themselves in 3 day old pajamas, still wearing maternity clothes because they haven’t lost any of the baby weight, with spit up in their hair and what could, quite possibly and probably, be poop on their shoulder. So when I stood in the doorway of my nursery at 3 weeks postpartum in the exact situation I just described I couldn’t help but feel defeated and alone. What I didn’t know was how un-alone in my situation I actually was. There was another mother, or hundreds of other mothers, somewhere at the same moment feeling the exact same way I was. And I didn’t know. 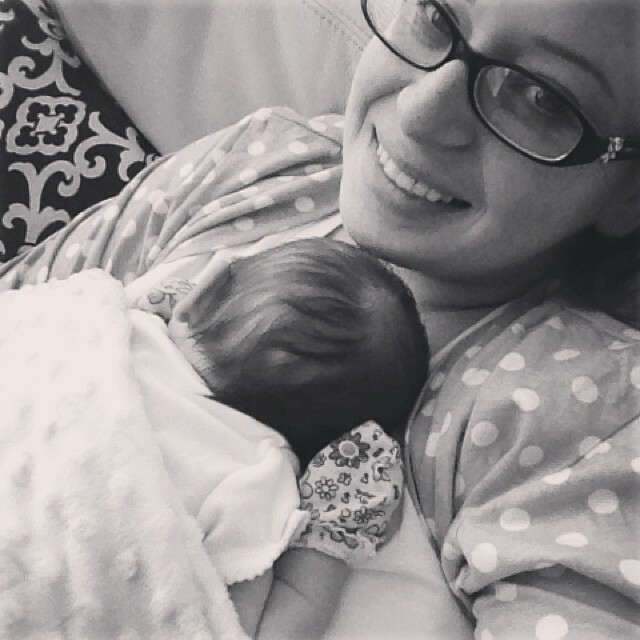 And that’s what this blog is for me; a way to help other mothers know that they are not alone. You aren’t the only one that didn’t step right back into your pre-pregnancy jeans the moment after you delivered. You aren’t the only one that hasn’t worn real make-up in so long that you don’t remember how to put it on. You aren’t the only one that has walked back and forth from your refrigerator at least ten times in the last hour and you still have no clue what to cook for dinner. You aren’t the only one with a messy kitchen and a pile of laundry taller than your toddler. You aren’t the only one still wearing the yoga pants you slept in. You are not alone. I’m right here with you. This entry was posted in Blog and tagged baby, family, mama, mom, mom blog, mom life, mommy, mother, motherhood, parent, parenthood. Bookmark the permalink.